Are your company searching for a manufacturer of high quality vertical platform lifts to distribute in your market? 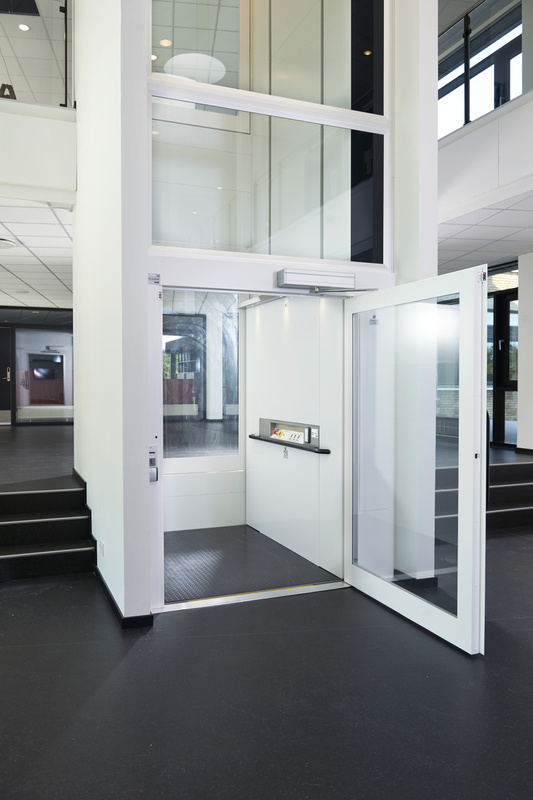 Our platform lift ILS 1K with a floor width of 1400mm and a floor depth of 2000mm accommodates as example, one wheelchair user and several other users. It also allows a wheelchair to be rotated on the platform. And please note that a platform lift with a floor width of 1400mm, as standard has a fully glazed door, with a clear opening of 1300mm for easy access, push buttons are both tactile and with braille. Several other available options are of course possible upon requests, this means that we can meet most demands when it comes to accessibility. And due to the lifting capacity of 1000kg and the wide doors, it will also be a great solution for transport goods. Other platform sizes are of course also possible, from the smallest platform 700mm x 1100mm (WxD) and 500kg rated load, and all the way up to 1400mm x 2500mm (WxD) and 1000kg rated load. Both our product lines, ILS 05K and ILS 1K fits and are a cost effective solutions for: Hospitals, Care homes, Shops, Schools, Libraries, Industry buildings, Offices and in private homes. Just to mention some places! It fits everywhere functionality, design, quality and cost are important. And did you know that we also can supply our lifts in other design materials instead of powder coated RAL colours? Such as brushed stainless steel, for some parts of your choice, or if you want most parts of the lift to be in brushed stainless steel! For distribution of our lifts or for more information, don’t hesitate to visit www.ilifts.se or our Facebook page, or call +46 (0)70 49 22 715. Accessibility & flexibility on a new level!